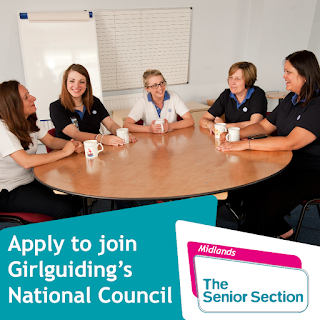 Girlguiding Midlands are recruiting for two members of The Senior Section to represent the Region on Girlguiding’s national Council. As a member of The Council you will be helping to ensure that we uphold the aims of the Association, keeping an eye on how it relates to contemporary society and looking at the broad issues outside the Association. You will also be part of the team that concerns itself with the future development of Girlguiding. 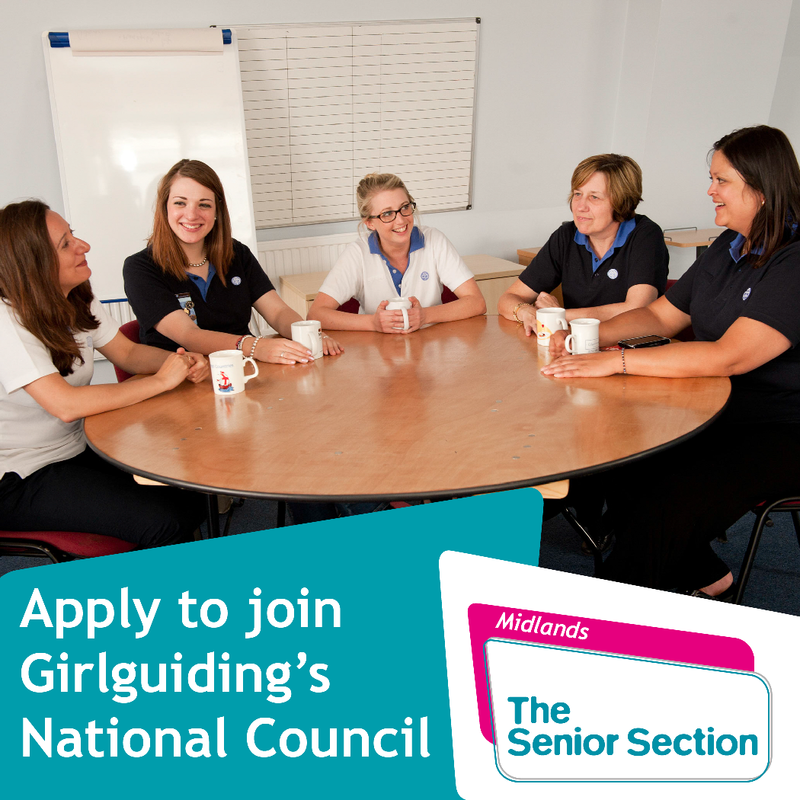 We are specifically looking for two members of The Senior Section to represent Girlguiding Midlands as part of this exciting venture. More details about the role and the responsibilities of being a Council member are available by downloading the Application Pack. The deadline for applications is 4 September 2015.